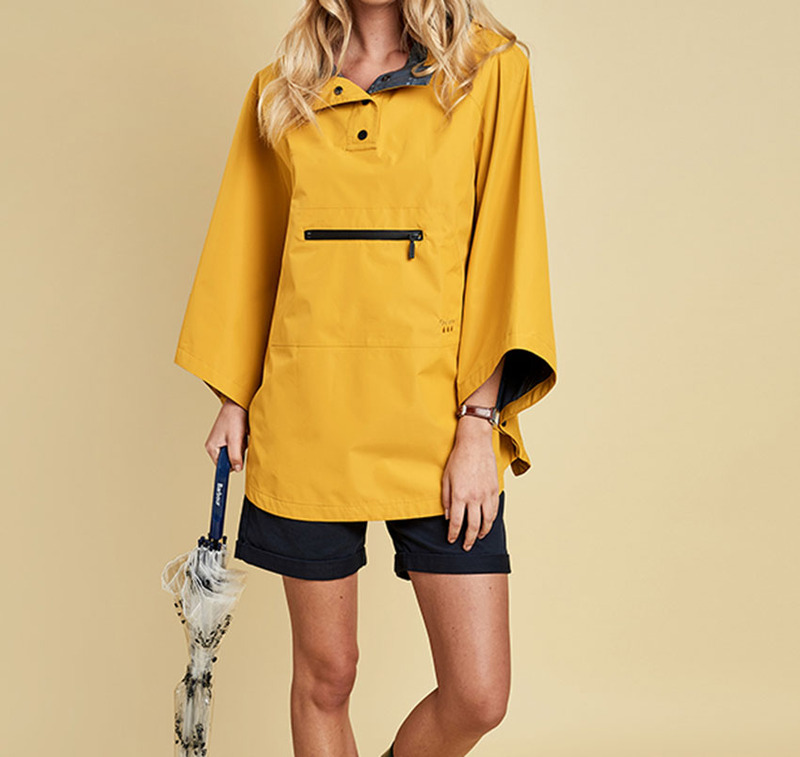 The Barbour Alto Waterproof Cape will brighten up any day. 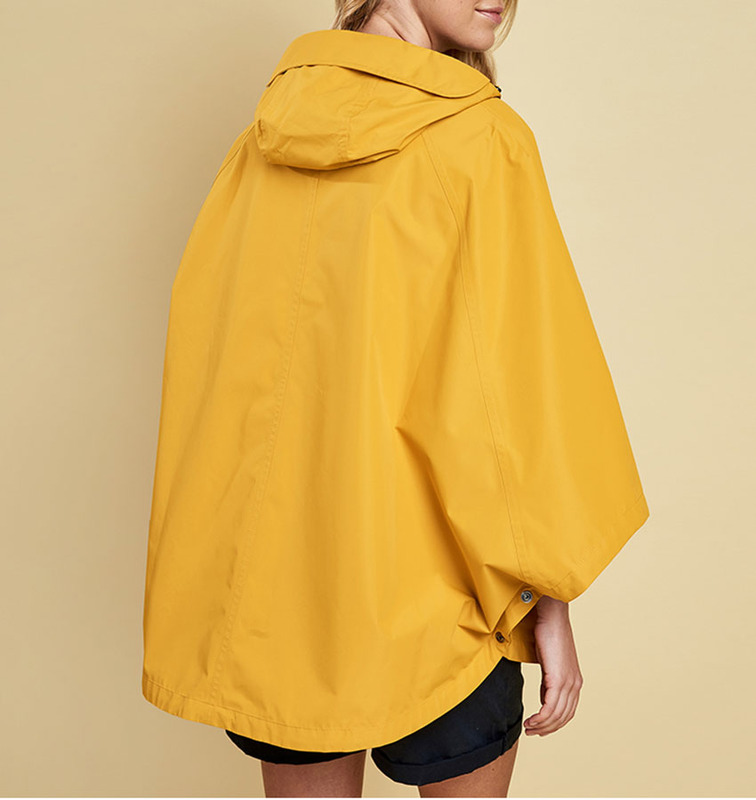 Fully waterproof, hood with a folded extra peak for the really rainy days and a zipped pocket/pouch to carry the essentials! 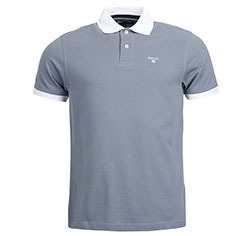 Ideal for cycling & festivals. 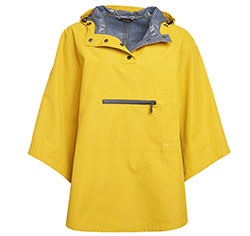 100% Polyester Outer with waterproof membrane. Barbour's Weather Comfort print to lining. Colour: Canary Yellow & Victoria Blue. The Clover is Sold out. 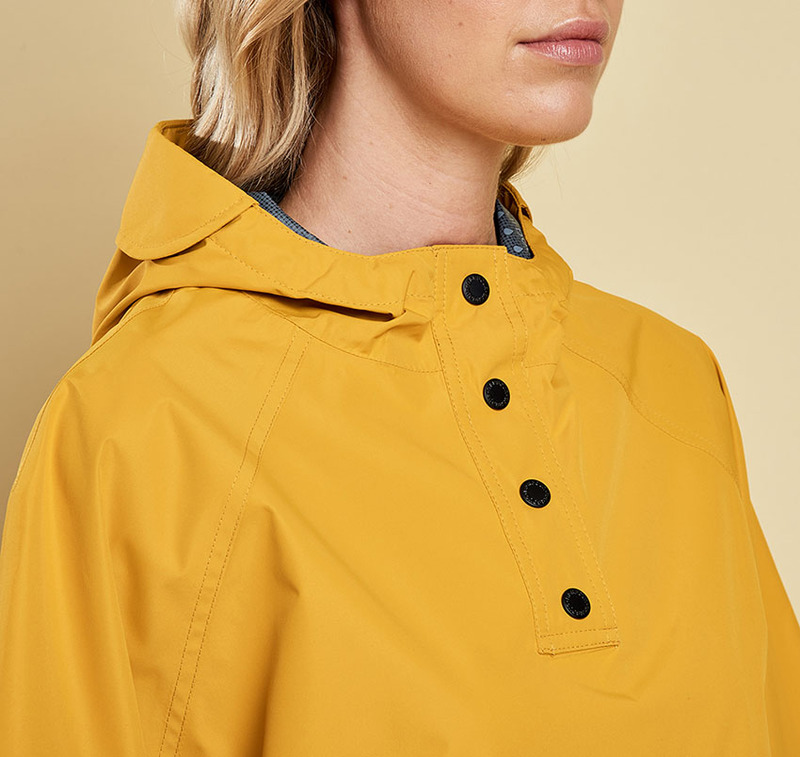 The Barbour Alto Cape is From the Weather Comfort Collection.